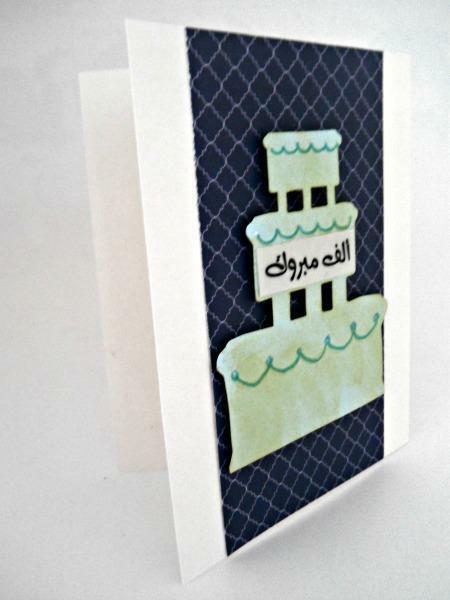 I loved this Arabesque background paper in blue and white. I knew I wanted to used it somehow in a wedding card and this is what I created. 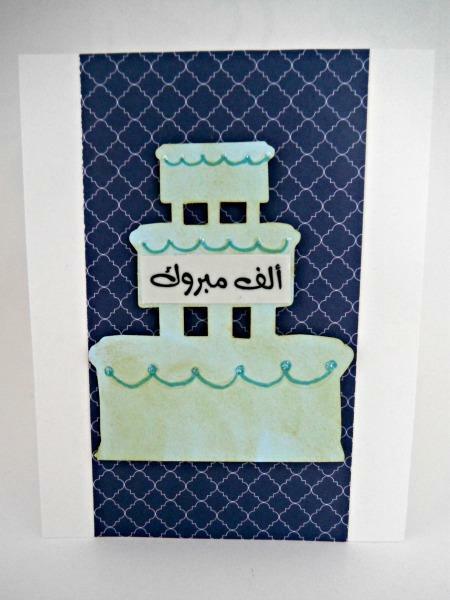 The embossed cake cut-out is vintage Creative Memories that I then chalked, painted and glittered for a 3D effect. 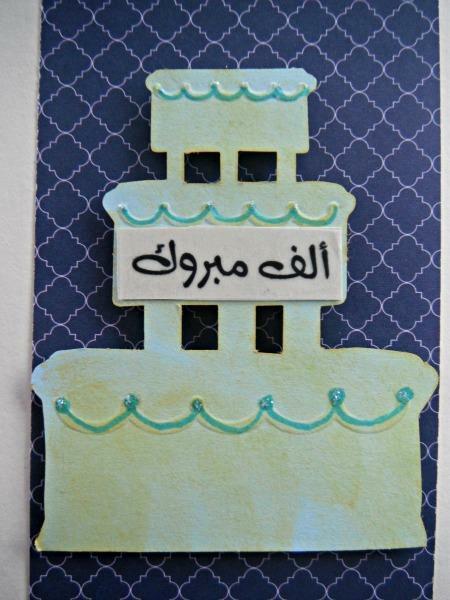 I added the words Alif Mabrook (1,000 Congratulations) to vellum and cardstock and added them to the cake.